How can I track my girlfriend’s current location? Posted on July 9, 2018 by Tom Richardson Posted in Phone Spy Apps Blog, Track a cheater . Does your girlfriend always tell you where she goes? Are you sure that she is at the exact place she had told you? Do you want to know what software will track my girlfriend’s current location? Use spy tracking app that allows to control each her step! Just install app at her phone and launch it to receive regular reports about her changing location. Now you can see every step of your gf in your personal online tracking account. Moreover, just installed once a software does not require physical access to the target device. If you think that your girlfriend is lying about where she stays at night, do not yell at her. Just tell that you are going to track my girlfriend’s current location via special application. She will know that you monitor her moves, so you will not violate rules, but at the same time she will hardly be able to keep that in mind all the time. So if she is cheating on you, you will know it first. When you use monitoring apps to track my girlfriend’s current location, you may forget about hesitations and distrust. The data that you receive with spying app will provide you with total overview of her multimedia files, messages, and, of course, current location. Spying applications give not only information about your girlfriend’s coordinates, but also about all the data she keeps in her phone. When you start to use this monitoring software you may always choose options that you want to use. For example, you may choose only to track my girlfriend’s current location or add option of controlling her messages. Of course, you may always choose to use all the features that spying software offers, especially if you are really interested in tracking your girlfriend. You may track my girlfriend’s current location right now! You just need to download and install special software at her phone. You can find free cell phone spy apps and try them without necessity to pay huge money! What is the best tracker if she has Android phone? If your girlfriend has an Android phone and you want to track her location, you are welcome to use the best cell phone monitoring app for Android – HoverWatch. This kind of spying software has all the neccessary features like: SMS, WhatsApp and FB tracking, GPS tracking, call recording and many other cool functions. 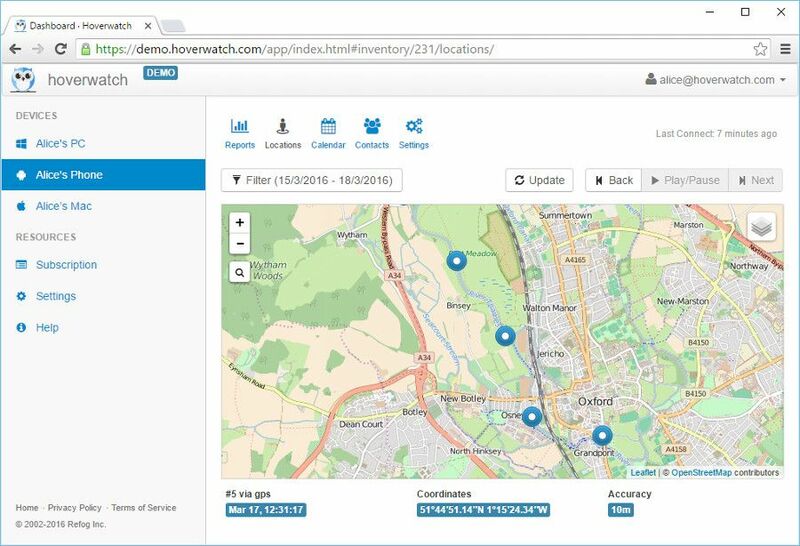 Just visit HoverWatch website to see all them. We remind you that if you want to spy on your girlfriend and track where she is right now, you have to install a cell phone track to her device. Therefore, you need a 10 minute access to her device to set up a cell phone monitoring software. Android cell phone should be also rooted. HoverWatch is also good, while you can use the app for free and see how everything works. If you do not need this awesome app any longer, you are not obliged to pay for it as soon as your trial version runs out. What if I want to track my girlfriend’s iPhone? If your girlfriend uses iPhone, a situation with its tracking is a little bit different. First of all, we recommend you to try mSpy for that. However, in order to use this kind of the tracker on your girlfriend’s iPhone, you have to jailbreak it first. You should not be affraid, while this process is not difficult and does not take much time. Moreover, if you can not do that by your own, there is always mAssistance for your needs. A support team member will help you with all the possible issues 24/7. You have to remember that SOFTWARE INTENDED FOR LEGAL USES ONLY. It is the violation of the United States federal and/or state law and your local jurisdiction law to install surveillance software, such as the Licensed Software, onto a mobile phone or other device you do not have the right to monitor. You may ask: “Why on Earth do I need to buy a cell phone tracker if iOS has its free GPS tracking service?”And you will be absolutely right about that. 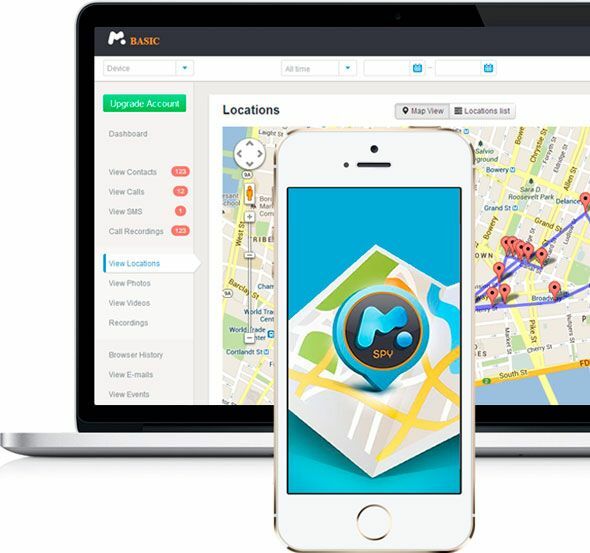 BUT with this service you get only one feature – GPS tracking, while a cell phone tracker gives you a bunch of super cool monitoring functions. Now you can spy on your girlfriend’s messages, listen to her calls and read all her WhatsApp and Facebook Chats; you can even get full access to her deleted texts and finally find out the truth. If you are sure in your relations and there is no need in GPS tracking of your girlfriend’s phone, we recommend you to install a cell phone spy in any case. There is a great number of situations when it can come really in handy. Your sweetheart can lose a phone or stuck in a traffic jam and does not hear you calling, but you will always see where she is. I guess safety and your calmness worth money spent. Can I track my girlfriend phone if GPS is not activated on it? Can I switch on gps remotly? If you want to GPS track your girlfriend, GPS function as well as WiFi should be switched on on this device. You can activate GPS function remotly, but the phone must be rooted or jailbroken. As soon as you install the cell phone spying app, you can activate GPS on the target device. I WANT TO TRACK MY GIRL FRIEND PHONE USING ONLY MY PHONE number to her phone number without touching her phone and view all her SMS daily plz help me. You can not track the phone only by having the phone number. The only app which could be remotely installed is mSpy for iPhones. And one more thing, you install a spyware on the phone you want to track, and in your online monitoring account you will see all the activities of the tracked device. GPS tracking is extremely useful. I believe it’s a lot more than simply tracking someone’s personal data (besides, such things are often illegal). When we travel together with my beloved we always activate such apps in order to be aware of things that may happen to us in the unknown places. This way we’re always aware of our locations even if we somehow get distanced from each other. In order to track the location of the desired phone, you have to instal a cell phone spyware to the target device. I have iphone and my gf android. What should i do to truck her? 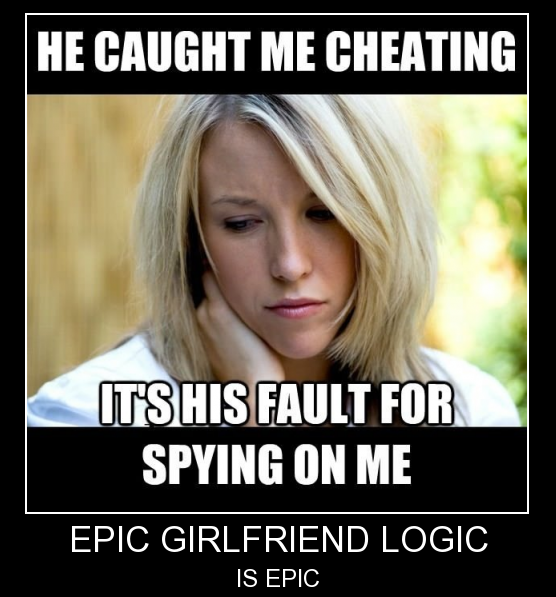 In order to track your girlfriend’s phone, you have to install a cell phone spy on it. However the target Android device should be rooted in order to track all phone’s activities. We recommend you HoverWatch as a leading phone spy tracker, which has the lowest price (You can use HoverWatch for free for 14 days), however it does not have to many tracking features. The leading spying software is considered to be mSpy. However if you want to find other spywares, you can check the TOP Spying Apps table and read reviews about every tracker in details. is there no any way to track my girlfriend’s phone without using any app? Please let us know which phone your girlfriend uses and we will try to suggest you a solution. Could you please tell us which phone your girlfriend has. Hy am using blackberry bold 9900 I need to track my g.f ,which application iz suitable for me? You are welcome to find all the apps, which are compatible with Blackberry phones here – https://phonespyapps.com/spy-apps-reviews/. Let us know if you have any further questions or can not decide which spyware to choose. Thanks for your comment. The best cell phone tracker in your case is HoverWatch, but you have to install it directly to the target device, you would like to monitor. You would also need Rooting to track the most popular messangers. I think my girlfriend is cheating on me and in all my past relationships I’ve been cheated on, I want to be able to see her Facebook messages and text messages without her knowing, I know it sounds bad but I’m not letting anybody get away with it again, can you help? In order to spy on somebody’s Facebook, you must install a cell phone spyware on the target device. Moreover, depending on the OS of the target device, jailbreak or rooting may be required. Which device would you like to track – iPhone or Android? I just wanted to see where is my lady at k .